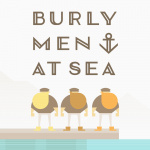 Burly Men at Sea wants to tell you a story. Well, actually, it wants you to tell its story, guiding three sea-faring brothers as they sail the sea in search of adventures worthy of the telling. 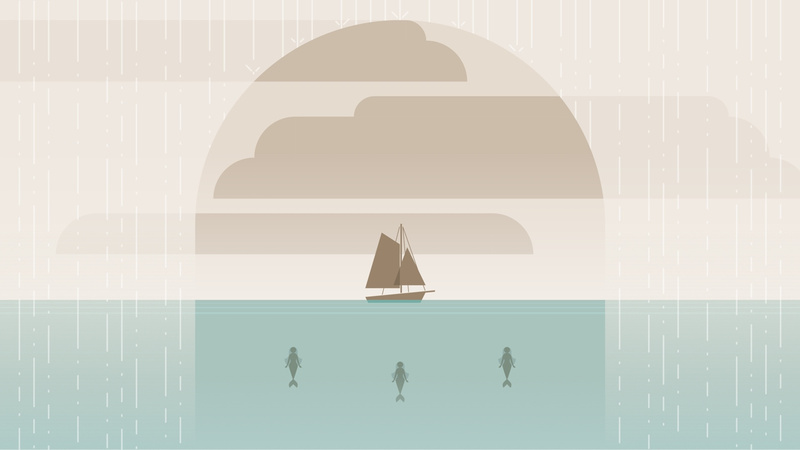 You’ll encounter all sorts of weird and wonderful characters as your turn its virtual pages, plotting points on a mysteriously blank map as you choose the chapters that comprise this maritime yarn. 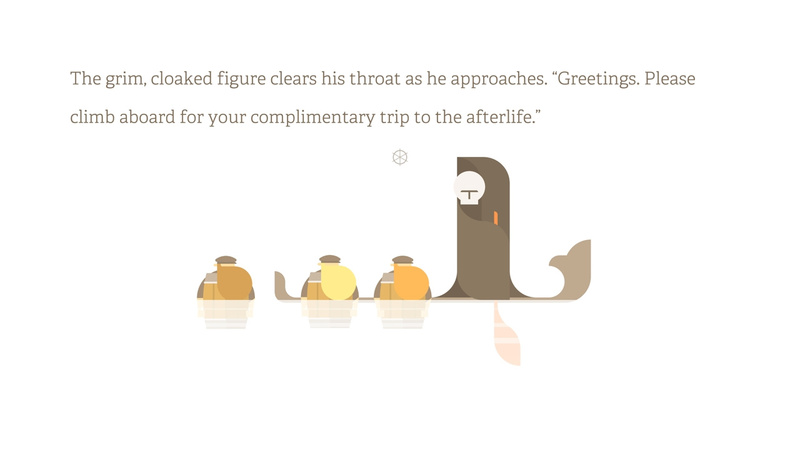 The end result is something more akin to an interactive storybook than a game. It’s an experience that’s clearly been made with family viewing in mind, its pithy dialogue often winking at the adults as much as its slapstick antics entertains the kids. 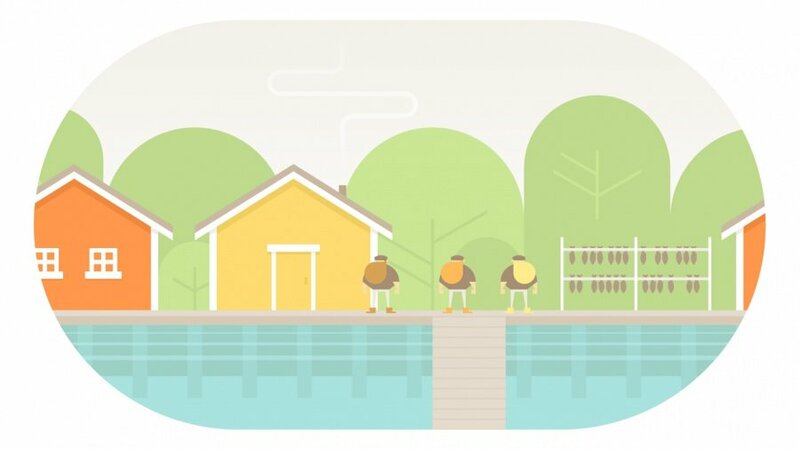 As such, there isn’t much actual ‘game’ to be had - you’ll mostly just drag the edge of the screen to move the titular trio of bearded sailors and tap to open doors - but that’s obviously the intention of husband-and-wife studio Brain&Brain is going for. It’s not necessarily about what you do to reach a certain destination, but what you find along the way. Here’s where things get a little dicey. 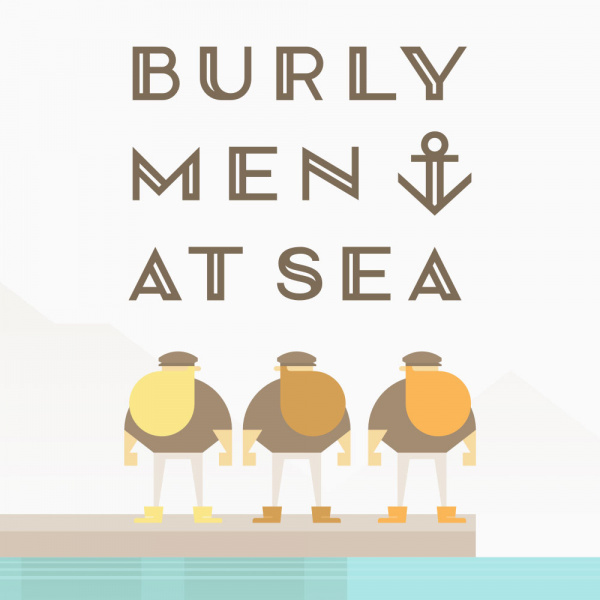 Burly Men at Sea’s most memorable moments are best discovered on your own playthrough, so we’ll do our best not to ruin its juiciest bits, but we will say you'll likely encounter them in a unique combination each time you play, and that’s where the real selling point reveals itself. Every journey starts with the three titular men of caliber - whimsically-named Hasty Beard, Steady Beard and Brave - discovering a blank map in a bottle, a rather handy plot device that leads them to port in search of answers. 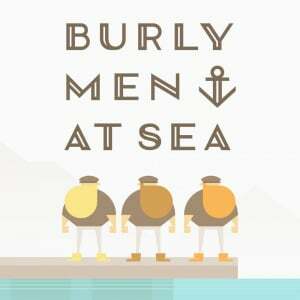 It’s here you get a little taster for what Burly Men at Sea is preparing to serve up. From the mystery of what’s to come (the NPCs you meet seemingly knowing nothing of a blank treasure map, a fact that only urges you to set sail again and divine its true purpose) to the use of voices to create everything from the soundtrack to everyday sounds (yes, someone really did record themselves impersonating a coffee machine), it feels pleasantly homemade from top to bottom. The characters you encounter and the paths the story takes are entirely up to you, with each one splintering off depending on your seemingly innocent choices. Its web of potential avenues isn’t exactly Mass Effect of something from the David Cage book of consequence-based narratives, but it does create a consistently entertaining experience as the hirsute triumvirate bounce from one encounter to the next. The lack of agency will rankle those looking for a little more interaction for their buck, but with each sea-based adventure lasting anywhere from around 25-40 minutes per session, it’s very easy to loop together enough bizarre tales to keep yourself entertained. There is, of course, going to be some repetition along the way (we re-experience a fair few of the same sections multiple times during our many playthroughs), and it does dull the experience somewhat if you’re really trying to discover all its oceanic secrets. When you finish each tale a book will be added to a shelf back at port, which recounts each adventure you’ve been on with the Brothers Beard. It’s a cute way of archiving your experiences, but it also serves another unique purpose. On the spine of each is a special number, one the game tantalisingly dangles in front of you without explanation. Well, if you head to this website and enter that code you’ll be able to purchase a hardcover edition of that very story, in all its printed glory. It's very kitsch to say the least, but it's still a fitting physical tie-in for a game that wears its storybook DNA on its sleeve throughout. The game you’re getting on Nintendo Switch isn’t far removed from the one you may have played on Steam and mobile back in 2016, or the versions ported to PS4 and PS Vita last year. You can control the action either via the touchscreen with the Joy-Cons. Unsurprisingly, touchscreen controls work best so playing this little curio in handheld mode offers up the best and most satisfyingly intimate experience. 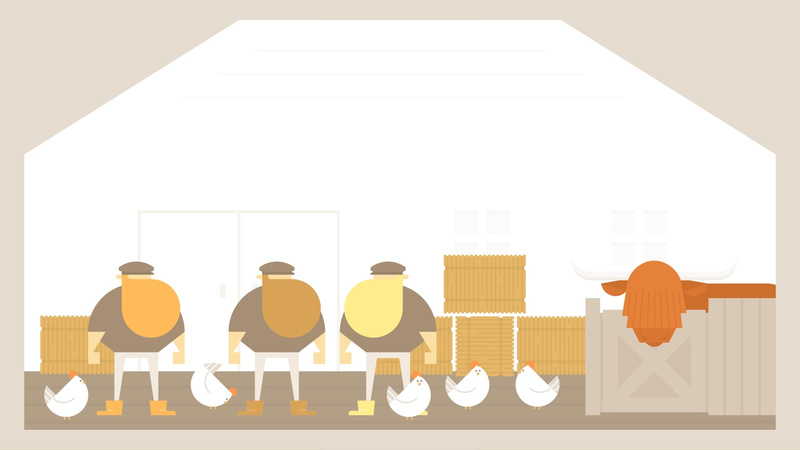 While it might not offer that much in terms of player agency, Burly Men at Sea more than makes up for it with buckets of charm, wit and affable Scandinavian storytelling. Its playtime sessions are usually short, but with each playthrough recorded like a tome on your virtual shelf, there’s plenty of new characters and encounters to be discovered as you plot many a memory on your very own map. Call me ungrateful, but no, thank you. Once again - why? I can get it for like three bucks in iStore. That’s why I’m a bit polarized about indie games on Switch: we need more games which utilize the console’s capabilities. Played this a while while back so No thank you. Looks great, but I'll probably just get this on another platform. Hmmm... I do like me some burly men and haven't tried this one on any other platform yet. Sure, I'll bite. @NightBeast Because developers know that app stores are a toxic wasteland of race-to-the-bottom pricing and in app purchases to buoy so-called "games." That's why they charge a fair price at their first opportunity outside of mobile stores, and I fully support that idea within reason. @Keldorek Nailed it. It bothers me that everyone claims that the eShop is overpriced rather than considering that the App Store and Google Play are underpriced. Seems like a great idea and an interesting "game" especially the story book tie in. Don't think I will purchase it, but I applaud the developers efforts! Definitely one of those "games" that just screams "pass" for me. Maybe if it goes on sale. @NightBeast I would definitely buy a Civ game on the Switch.